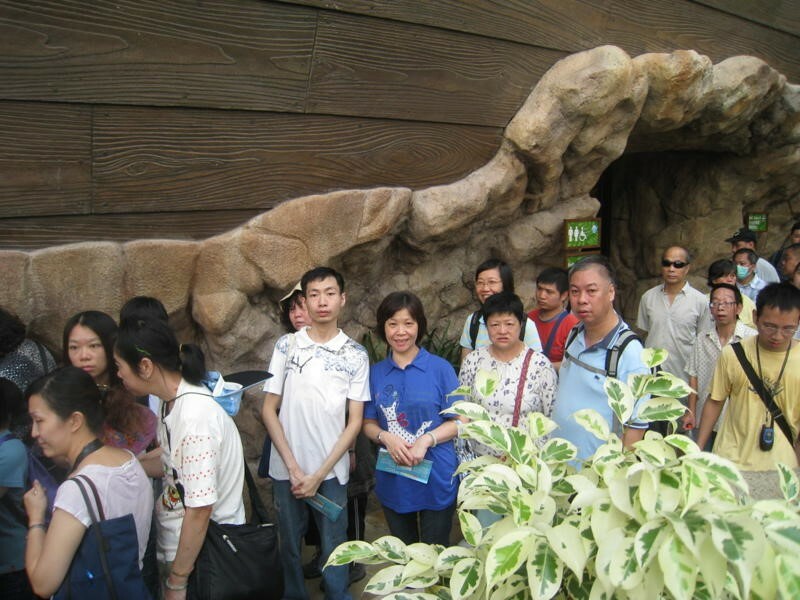 Clients in Yiu On Integrated Rehabilitation include mentally retarded people and ex-mentally ill rehabilitants. Most of them are recipients of CSSA and DA. With such a low income, they cannot have chances to use computers. Their awareness to information technology is relatively low and is therefore in need of related service to reduce such a marginalization. Relationship between ex-mentally ill and their families are usually indifferent. Taking a research conducted in Yiu On House in 7/2007 as an example, 38% of rehabilitants were having no contact with their family members. 41% of them were having sporadic contact. Only 21% of them would visit their family members. These figures reflected that the relationship between rehabilitants and their family members are frail. The project was started in August 2009, we purchase 9 sets of personal computers in the computer room for providing free internet services and computers. There were altogether 9,123 people using the computers in a whole year. Generally, the service users are very satisfied with computer room equipment. They like listening to music, playing computer games and watching movies. The computer will also be used for online auctions of goods. Computer room has just been renovated and is thus very comfortable. We have extended the opening hours of computer room to 8.5 hours in order to meet our service users’ needs. Computer training courses were run by the IT Technician. He introduced Information Technology skills and knowledge to our service users. Throughout the year, we organized 53 lessons of training courses and a total of 537 attendances. According to our research in June 2008, most of the families do not install computers, so have no access of the internet. Most of the clients never learn computer skills. They know nothing about emails, typing and Microsoft software. After the development of Net Zone project, the target clients have the opportunity to learn how to use a computer. For a group of people with mentally retarded, they do not know how to operate a computer. After participating the computer course, they feel very happy to be able to turn on their own computers and get the knowledge in the use of computer and learn how to online for visiting different websites. This makes their lives more colourful. For a group of ex-mental patients, who prefer a more practical computer courses, for example, learned how to burn DVD. On the whole, they are very satisfied with the teaching performance of IT Technician, but also very much appreciate his often assist. Most of rehabilitant-family relationship were unsatisfactory. With facilitations by social worker and appointment arranged, rehabilitants and their family would be able to talk online via webcam. This informal reunion is less threatening than face to face meeting. It enhances mutual understanding and is therefore beneficial for their relationship in a long run. Home visits begin in September, serve 28 families. There is no restricted area. We carry out the home visits 52 times, and there were 48 times using the online chat room. In fact, many of our service users are deprived (both socially and financially) and have a low standard of living. Even worse, most of the rehabilitants have a distant relationship with family. They live alone and have no connection with their family. Without the acceptance and caring of the family members, the mental situation of the rehabilitants cannot be better supported. As mentioned before, many rehabilitants and their family members do not (or even reluctant to) maintain close contacts with each other. 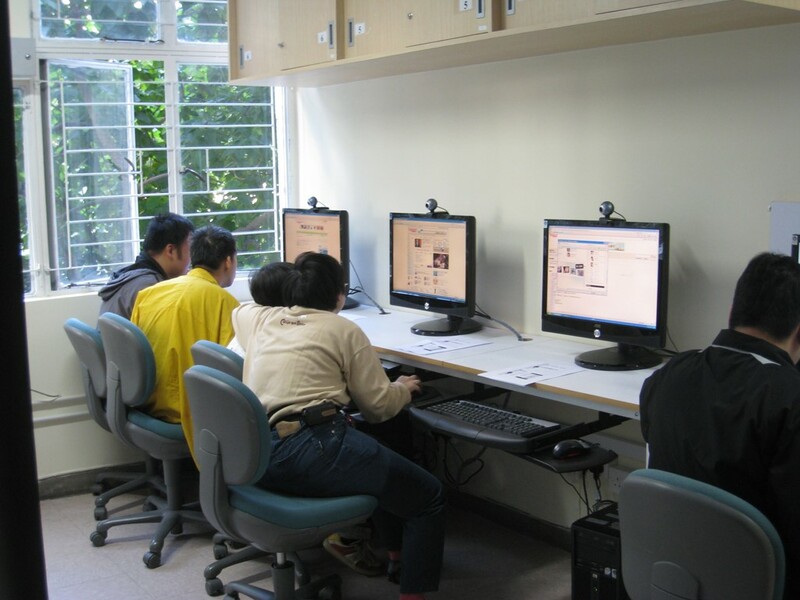 However, according to experiences earned from the Net Zone project, online communication with webcam images was proved to be effective to facilitate their social interactions. With the help of the social worker, rehabilitants and their family would be able to share via online communication. It enhances mutual understanding and is therefore beneficial for their relationship in a long run. Accompanied by social workers, family members or service users through a webcam were able to talk some in-depth contents. For example, the wife would like to go out to work, to give up the responsibility to take care of their children, but worried that her husband did not understand. After the video interviews, her husband promised his wife’s request, while the wife was soon to find a job. This program involved teaching clients about the application of digital camera and video camera. DC/DV application course held in the dormitory, total of 24 lessons on DV/DC application. There are 517 people participated in DC/DV applications course. They would record individuals’ thoughts and take daily photos, which would be organized into personal DVD/VCD. By this means they could review their life. They could also express their true thoughts, such as their gratefulness to family, which are difficult to be expressed in real life. The record of daily life snatches and snapshots could be kept as a souvenir for future appreciation. And total of 36 DVDs were being produced annually. Family or service users are initially reluctant to shoot, after repeatedly encouragement, they are willing to shoot. When the shooting is completed, they view that the footage is very touching. For example, a pair of parents to see his son painting a picture will be sent to his mother in Mother's Day. They think of the past, how to care for the son of illness, hard work is worthwhile. In the previous Net Zone project, we received 36 numbers of questionnaires. 80% of the respondents opined that these snapshots or videos were touching and could enhance the mutual understanding between family members, and 80% of the respondents stated that their relationships were thus improved. 21 rehabilitants were recruited as “IT Saviors”. There were 2 rounds of recruitment. The first course of IT Savior was held in January and the second course held in June 2009. The IT Technician held a 10 lesson training course for each group. The training course content includes basic installation of hardware, reinstalling computers, and some repairing skills. This year, a total of 21 volunteers had been trained. When we launched this course, the course was full in a short period of time. They acquired much knowledge of computer maintenance/repairing skills after attending the courses. The most important thing is that they have an opportunity to practice in the classroom. Some people asked IT Technician to accompany them to buy a notebook or desktop computer. Because they did not know the computer product specifications, they would ask the instructor to accompany them to buy computers, to prevent them from being deceived. IT Saviors also assist IT Technician to provide onsite computer repair service, and solve problems with information technology for the deprived group in the community. 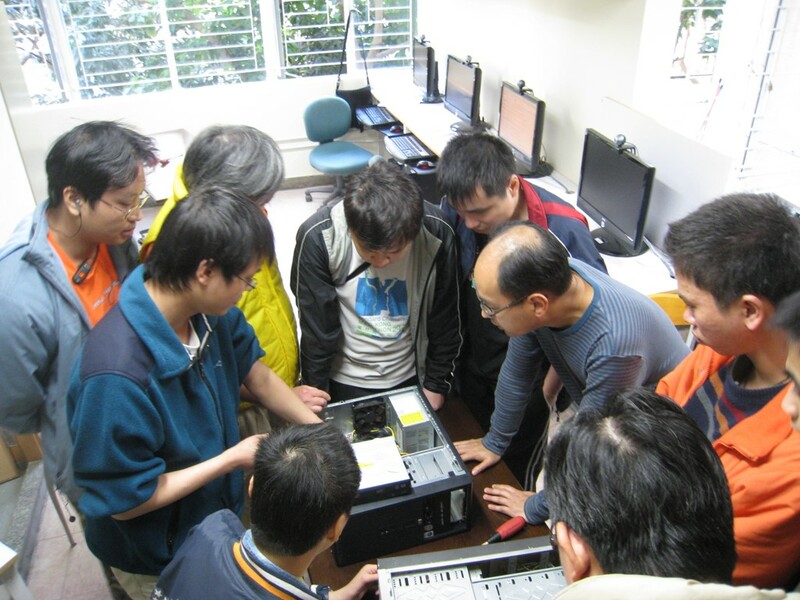 Onsite computer repairing service began in October 2008, there is no restricted area. 24 times of onsite computer repairing services and 6 times direct enquiry were provided annually. IT Saviors would also provide basic maintenance for the 9 sets of computers in Yiu On House in this program to ensure computers are properly maintained for service users’ daily use. Finally, 70 counts of computer repairing annually. Psychiatric rehabilitants’ families are facing various sources of stress. Getting along with rehabilitants, they have a lot of struggles. Providing recreational activities and gathering for them helps to reduce their stress and to empower them to face others in society. Four family activities were held in this year, including Snake dinner, Disney activities, Book Fair activities and Noah’s Ark activities. There were a total of 215 people participated in family activities in the whole year. Family activities are very popular, mainly due to the contents of which can meet their needs. Through activities family members can know other families with similar needs and challenges. Support network could be enhanced.